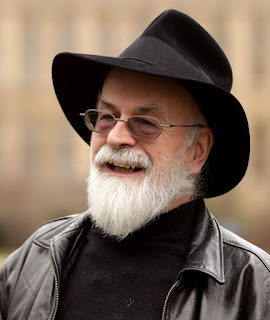 So for the last two years, every time Terry Pratchett has been on a poll–any poll...for any reason...including, but not limited to, "best science fiction"–one of my beloved readers has "stuffed the ballot" by giving a shout out on a Pratchett page (Facebook, I think). Since anyone can (and is, in fact, encouraged to) do the same thing with other authors, worlds, or books, I haven't really put a kibosh on it. Still, Pratchett's dominance has remained the one constant in the Writing About Writing universe. And he's an author I've not really read much of. I will read whatever Pratchett book you decide I should. You decide what is the BEST introductory book to Terry Pratchett and I will read it, cover to cover–even if it's a tough read or I have trouble getting into it. I'll even do a little write up about it and tell people what I enjoyed. Since Good Omens (which I have read) has been ruled to "not count" both by Gaiman and Pratchett fans, it's out, and I will be vetoing The Color of Magic suggestions since we already tried that. Any other Pratchett book is fair game–Discworld or no. In a week, I'll tabulate the results and post a poll. If there are too many books to run a single poll, I will narrow the field based on which ones got two or more "seconds," so don't forget to second books you like! I table and chair the debate: Going Postal! Second The Truth and the Hogfather. I used to recommend Wyrd SIsters since it's basically a retelling of Hamlet and Macbeth from the witches' POV, but Wee Free Men is an easier entry into Discworld and Tiffany Aching is a wonderfully sympathetic character. I don't think the early books are the ones to start with - Pratchett developed, just like every other writer. Loving his work, i now enjoy reading his early novels and short stories, but they are not comparable to his later work. A good Discworld novel to start with is "Monstrous Regiment"; it doesn't require any knowledge of characters or Discworld itself, it has an interesting plot, and lots of Sir Terry's dark wit. Night Watch. A good look at the watch books, and a good way to see how cool Sam Vimes is. I know I can't nominate more, but I will second (if anyone else recommends) Wee Free Men or Thief of Time or A Slip of the Keyboard. I actually don't think The Color of Magic is a good intro to Discworld. It took him a couple of books to figure out how to write them. All of my seconds for Small Gods. Enthusiastically second! This is my favorite of Pratchett's books! Seconded. It is the first of the Night Watch books, and while I like other night watch books better (especially Jingo and Thud), it is a really good introduction. 100% guards! guards!. he'd hit his stride by then, and this one introduces a lot of the major characters. Second Guards! Guards! Brilliant first Watch novel. I would put in a vote for Reaper Man. One of my favorite storylines is that of Death. Will I break the Internet if I suggest Nation? I'm not your big Pratchett fan/reader on this blog, but I prefer his earlier books. I would suggest reading a few of his books at once, 2-3-4, , then cleanse your palate with a few books from at least one other author, and then come back. I like to start at a beginning of a series and read straight through. Sometimes that backfires on me, and I think that's what happened with Pratchett. I read, and read, and read - and got burnt out. Have been away from him awhile, and now am thinking about rereading and moving forward. . I have no recommendations, but I am eagerly awaiting the results of this poll since I'm pretty much in the same boat. Feet of Clay. It's one of the Watch series, and if bothered by spoilers, yes, read Guards! Guards! first, but I love Feet of Clay. It really gets into the characters of Vetinari and Sam Vimes. I'll second Feet of Clay. If you prefer to read the stories more or less in order then you can pick a book at the beginning of a character's or group's story arc. 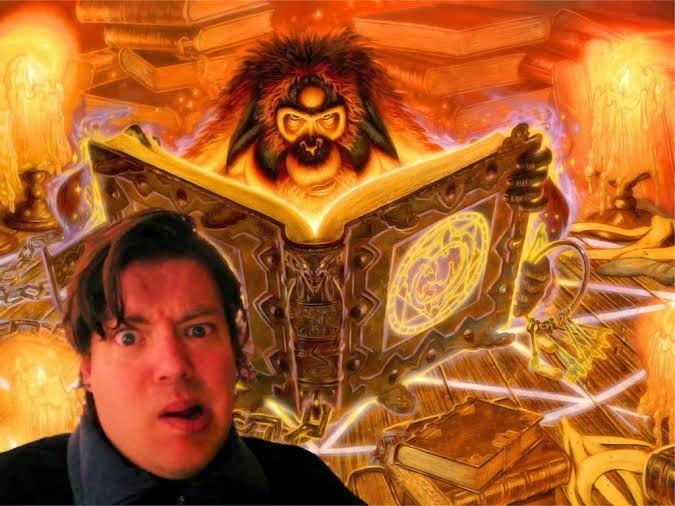 A pretty decent guide can be found here: http://tayn.hubpages.com/hub/Discworld-A-Reading-Guide. Personally I would go with The Wee Free Men. It is one of the few books that I would count among my favourites that also falls at the beginning of an arc. I totally agree with the problem of The Color of Magic. and I disagree with the problem of Good Omens as an introductory book, mostly because Sir Terry's footnotes and his characterization of Death (it's already too late for me to nominate or second either Reaper Man or the Hogfather in any productive way) were what sucked me in. And I like CPS's comment about starting with story arcs. I barely tolerate The Color of Magic, to this day, but I have a massive crush on Sam Vimes and a girl crush on Death's granddaughter, Susan. There's also the Granny Weatherwax stories, which are well worth reading if you want more of the Disc World beyond Ankh Morpork. So no other purpose to this comment other than to say I'm glad to hear you're exploring Pratchett! Anything mid-career and beyond is a great place to start. His dialogue got less sharp towards the end, but I was already so in Disc World that it didn't matter, and that's saying something as I drop authors for bad dialogue pretty quickly.